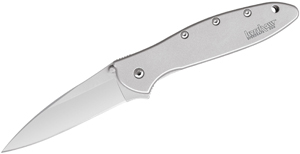 KnifeCenter has some of the best outdoor and survival gear from Spyderco, ESEE, Cold Steel, Ontario, CRKT, and more! These knives and tools are perfect for any camping bag, so be sure to browse through and click the links below so you can take advantage of the best knife deals on the internet. If you don’t want to miss out on our bi-monthly Outdoor & Survival Newsletter, be sure to sign up! 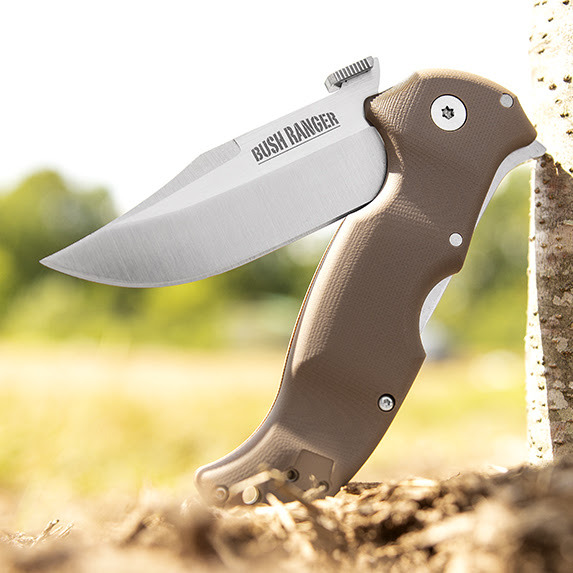 Fans of Cold Steel may remember their original Bush Ranger, which was a fixed blade with a famously ergonomic handle. 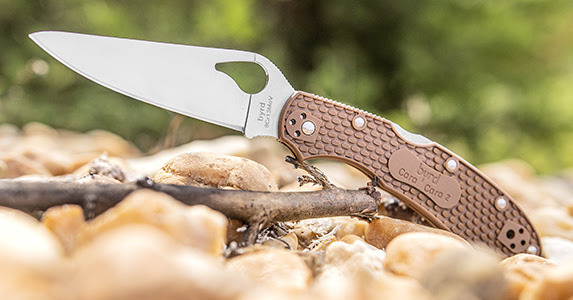 This updated folding version sports brown G10 scales and keeps the comfortable handle design – and we can tell you personally that it fills your hand in the best way. Add in the premium S35VN blade and Andrew Demko-patented Thumb Plate and you have a new midweight EDC that performs like a true workhorse. 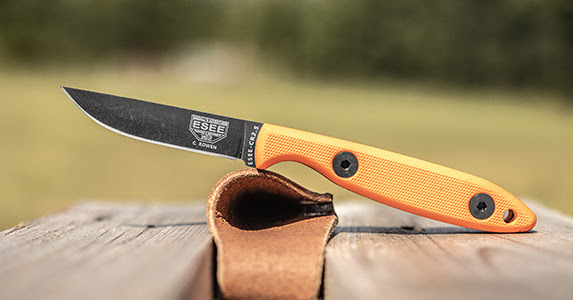 Nicely molded nylon sheath and line cutter, grippy rubber handle, full tang construction – all attractive qualities that make the Ace a great general purpose knife. 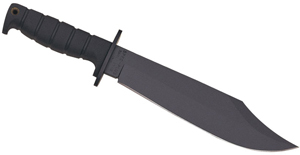 From batoning wood to whittling, this fixed blade will make a survivalist out of any user. 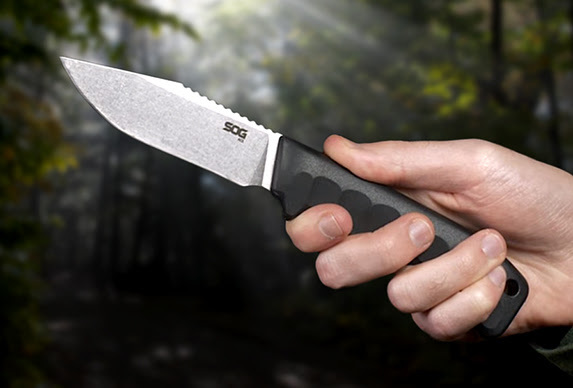 Considering it’s less than twenty-five bucks and it comes with SOG’s lifetime warranty, there’s really no reason not to have this handy tool in your pack. This axe proves that size isn’t everything – it’s compact and light enough to be carried comfortably, but is a true heavyweight champion when it comes to chopping tasks. 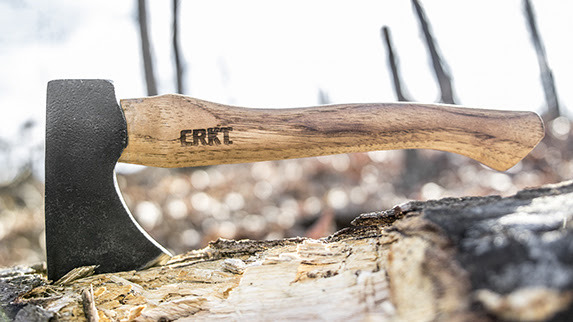 Designed by Elmer Roush, the Pack Axe is forged from 1060 carbon steel and is virtually indestructible. The Tennessee Hickory Wood handle adds a classic touch that makes this axe both a beauty and a beast. 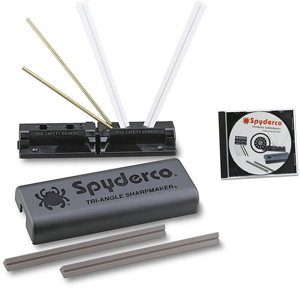 In 2010, Spyderco’s Byrd knives underwent some engineering refinements that greatly improved their designs and functionality. The latest evolution of the Cara Cara has a full-flat ground blade, a four-way ambidextrous clip, and Phosphor bronze bushings for buttery smooth action. Scoring a Spyderco for less than twenty-three dollars seems like a no-brainer and you have a nice variety of handle options, including highly visible orange scales. For the outdoor enthusiast who wants a no-frills, traditional bushcrafting knife – the Camp-Lore from Cody Rowen is your perfect fit. Not only is the knife American-made, but the pouch sheath uses leather supplied by one of the oldest tanneries in the US. Available with both Micarta or orange G10 handle scales and a black stonewashed plain blade, this compact tool makes for a superb bird and trout knife. Want more than a knife? 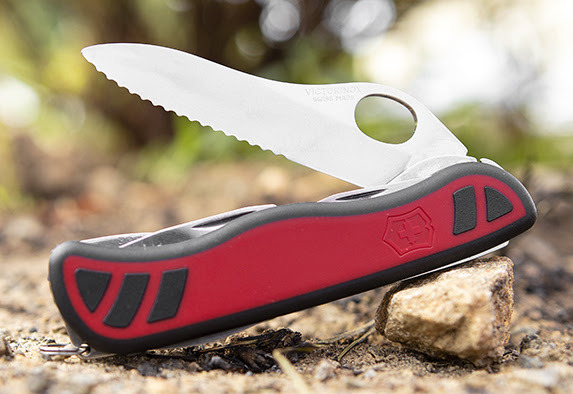 The Forester one-hand multi-tool is a pocket knife with ten integrated functions that will make any trek in the woods a breeze. Red grip dual density handle scales conceal a large blade, a bottle opener, a wire stripper, screwdrivers, a wood saw, a can opener, a reamer, a corkscrew, and a key ring. 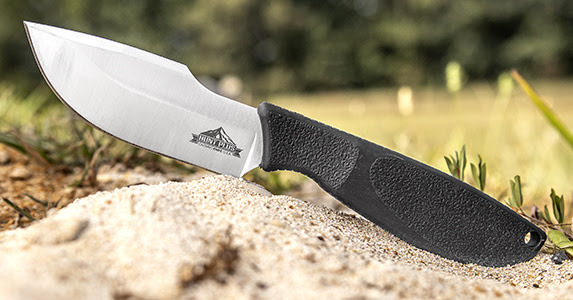 These American-made fixed blades from OKC come from their award-winning Hunt Plus line. This collection includes the Caper, which excels at both fine work and large-scale cutting tasks. Its pencil point can be manipulated well thanks to the knife’s unique shape – you can choke up on the knife and whittle, or get a firm grip on the synthetic rubber handle and slice through cords. If you’ve been waiting for great deals on camping knives and skinning knives, your time has come! It’s time to update your packs and emergency kits! We’ve got waterproof survival matches, match tube holders, fire starter gel packs, whistles, emergency blankets, water filters, compasses, and more! 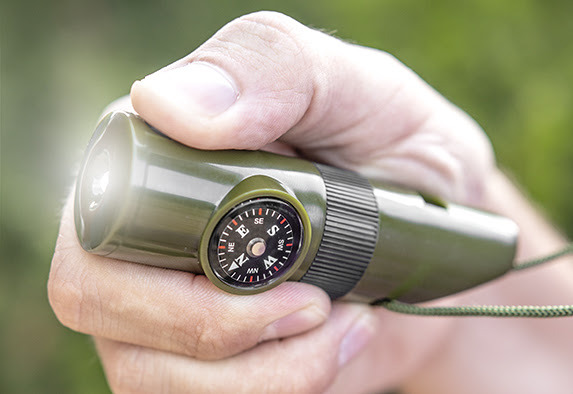 These must-have survival essentials start at less than three dollars, which is the deal of a lifetime for items that could potentially save your life. New Custom Knives at KnifeCenter!